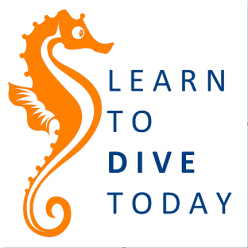 A new ocean MOOC starting on Monday! This one snuck up on me. Starting on Monday 25 April (yes, this Monday), a massive open online course (MOOC – remember those?) about science-based solutions to challenges facing the world’s oceans becomes available to the curious. It’s a collaboration between Kiel University in Germany, its GEOMAR Hemholtz Centre for Ocean Research and “cluster of excellence” (I don’t know!) The Future Ocean, and the International Ocean Institute. The course syllabus is comprehensive and spans 10 weeks of online study. You will cover topics from oceanography, marine biology, and geology. The aspects of the course related to humans include ocean governance, human-ocean interactions, changes happening along our coastline, and – most importantly – solutions from marine spatial planning to ecosystem management. It looks very comprehensive and unmissable if you’re a marine freak. Go to oceanmooc.org to learn more and sign up. For your own privacy, protection and future access (and this applies to every website that offers you the option, not just this one) don’t sign in with your facebook, linkedin or other credentials. Make a new account using your email address, and create a new password. Posted on 23 April 2016 25 April 2016 Author ClareCategories MOOCs, Ocean, OceanographyTags conservation, global warming, government, pirates, pollution, scienceLeave a comment on A new ocean MOOC starting on Monday! Let me continue to encourage you to use your spare time to pursue the subjects and ideas that interest you even if you have spectacularly missed your calling in life. It is a great time to be alive! I have heard about this thing called the Internet, that apparently contains almost all of human knowledge. Including a bunch of MOOCs. Among the first MOOCs I did were these two from Open2Study, an Australian course provider. If you enjoyed The Outlaw Sea, or are interested in piracy, illegal, unreported and unregulated fishing, or general ocean governance issues, Contemporary Issues in Ocean Governance from the University of Wollongong will tickle your fancy. If you’re interested in the Antarctic, have a look at Marine and Antarctic Science from the University of Tasmania for a quick tour of marine food webs, fisheries issues, and how the ocean regulates earth’s climate. The final MOOC I want to mention is one I haven’t done, but Georgina and Kate have (and found it fascinating – I trust their judgment). The United Nations Environment Program (UNEP) has launched a MOOC on marine debris. You can find more information about it here. The MOOC ran until December 2015, but one hopes it will be repeated! 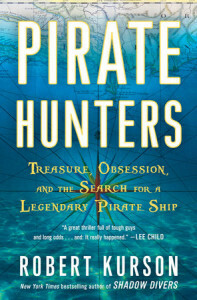 For the days that I spent listening to the Pirate Hunters audiobook on the way to and from work (I have a long commute), I was transported from wintry Cape Town to a sandy bay in the Dominican Republic, to the Archive of the Indies in Seville, Spain, and to the deck of a pirate ship in the seventeenth century. Robert Kurson is the author of Shadow Divers (gripping), which also features veteran wreck diver John Chatterton as he embarks on a dangerous quest to identify a sunken submarine in the North Atlantic. Unlike Shadow Divers, diving is not as much of the focus in Pirate Hunters. The diving that does take place is in shallow, light-filled tropical water and entails minimal risk to the participants. In both books, however, there is an intense focus on the historical research that is required to positively identify a shipwreck. In Pirate Hunters, Kurson does an excellent job of taking us inside the mind of the pirate Bannister, and it is through a thorough understanding of his motives and character that Chatterton and Mattera make their biggest breakthrough. Check out the New York Times review of the book, which does highlight some of its shortcomings relative to Shadow Divers. If you’re pirate obsessed or a maritime history buff, however, you’ll enjoy Pirate Hunters regardless. You can pick up a copy of the book here, if you’re in South Africa, otherwise here or here. 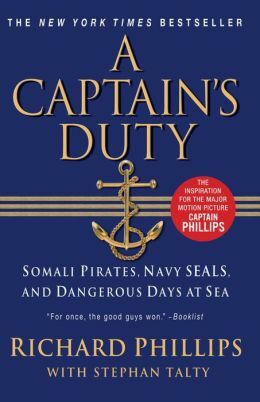 Having watched and enjoyed the movie based on this book, Captain Phillips, I was keen to read the captain’s account of his ship’s hijacking. Like Sully Sullenberger, the passenger airline pilot who landed his plane in the Hudson River after the plane was damaged by a bird strike, Richard Phillips has become something of a folk hero. In A Captain’s Duty Phillips portrays himself as a blustery, no-nonsense man’s man, with no time for “milquetoasts”. (He in fact uses this word so often that it became ridiculous – I was under the impression that the only people who know what milquetoast means would be considered milquetoasts themselves.) 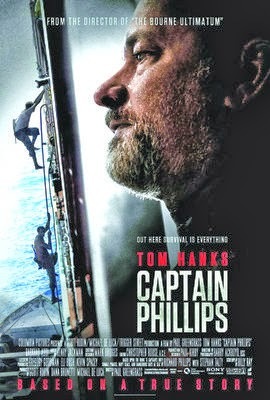 The book alternates between Phillips’s struggles with the pirates on board the Maersk Alabama and then the lifeboat that he ended up in, and his family’s attempts to cope with the drama (and the media attention) while at home in the United States. I could have done without the family part of the story – wisely (and to heighten the tension), the film downplayed his family’s activities while the captain was in captivity. One expects a screen adaptation to take liberties with the truth, but it turns out the movie is very faithful to the book’s description of events. Whether this means that Phillips’s version of things is too incredible to be true is for the reader to judge… Slate attempted to tease out fact from fiction, if you’re interested. You can read an excerpt from A Captain’s Duty here. I don’t think it’s necessary reading unless you’re a rabid fan of the film or of Captain Phillips himself, and want deeper insight into what happened. You can get a copy of the book here, here or here (if in South Africa). Several of my friends – among them people who are nowhere near as obsessed with container ships as I am – have recommended that Tony and I watch this film. It is based on a true story (ahem, ahem) of the heroics of Richard Phillips, captain of the Maersk Alabama. His ship was boarded by pirates while travelling past the Somalian coast on the way to Kenya. There is an account of the hijacking here, but it will ruin the movie for you if you read it. Tom Hanks’s reliable acting skills aside, this is a gripping film. The captain ends up in an enclosed lifeboat with the pirates, and half the US Navy turns up to try and resolve the situation. The khat-chewing pirates operate at a level of near-insanity that is terrifying and compelling. Having read The Outlaw Sea and several other pieces on the subject of the at times intractable problem of Somali piracy, the depiction of their desperation and the ease with which they board and overpower a 155 metre long ship ring true. Although it’s set on a ship, which gave it special interest for us, this is a drama that will be enjoyed by anyone who likes that genre. Both of us would recommend it. You can get the DVD here or here, and if you’re in South Africa you can get it here. 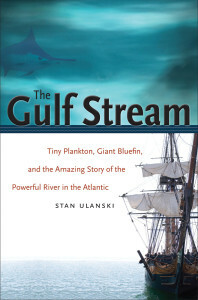 Stan Ulanski is an academic with a special interest in the Gulf Stream, both as an oceanographer and meteorologist, and as a keen angler. I was drawn to this book because it reminded me of a book I took out of the school library when I was twelve, also about the Gulf Stream. I remember devouring that book, and have been trying to find it again for much of my adult life. I haven’t succeeded, and this isn’t it. Ulanski concludes with an examination of the history of the exploration and colonisation of the New World, both aided and impeded by the Gulf Stream. It seemed that at times he wanders far from his main subject, but it is instructive to be reminded of what was involved in crossing an ocean before the advent of GPS and the creation of detailed charts. The section on piracy is fabulous and created in me a strong urge to re-watch Pirates of the Caribbean. 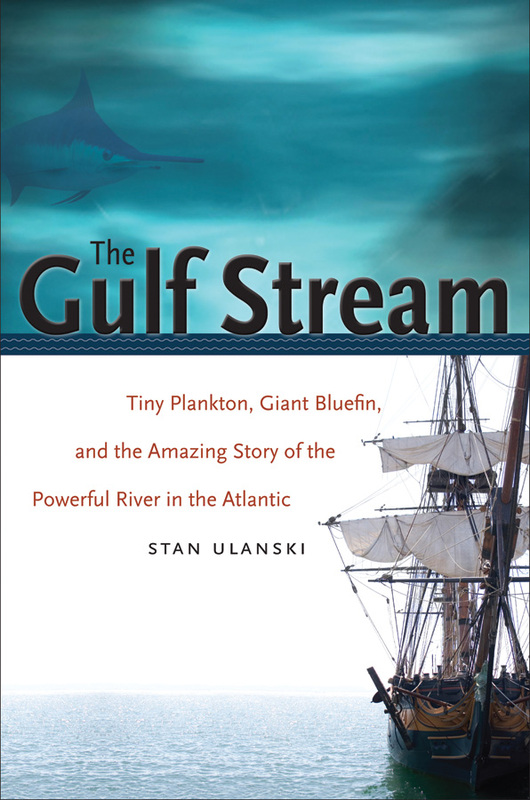 While my personal preference would be for a heavier focus on the oceanography and marine biology of the Gulf Stream, Ulanski is quite right to include a comprehensive section exporing humans’ relationship to this massive current. It has shaped the settlement and economies of all the lands adjacent to it. Here’s an incredible visualisation of ocean currents – you can see the Gulf Stream prominently in the Atlantic. 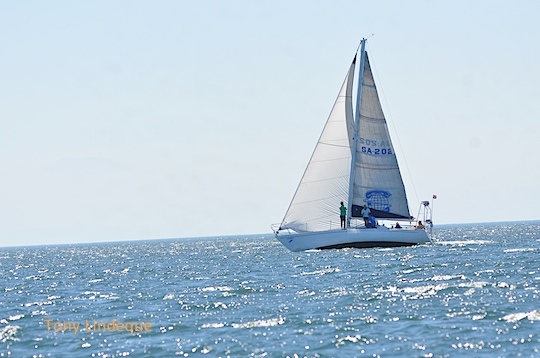 What is it like to be adrift on the Gulf Stream? Find out here. The Perfect Storm deals with the 1991 nor’easter, a storm (not uncommon in the western United States) generated by the interaction of the warm water of the Gulf Stream with atmospheric phenomena. The Gulf Stream is the “weather-maker” of the western Atlantic, according to the author, and these interactions between the current and the atmosphere will become increasingly important and explosive as the global climate changes (and let me clarify, the change has come about because of human behaviour). If you’re in South Africa, get the book here, otherwise here or here. For an even more wide-ranging view of the Atlantic ocean (minus the marine biology), check out Simon Winchester’s Atlantic. I never quite got used to the idea of living on a boat. I felt like a pirate for the entire duration of our Egypt trip – a very excited millionaire pirate swanning about in my flannel hooded robe, yo. During the course of our trip, Tony and I shot a few short videos that I’ve collected to share over the next few days. I hope they give you an idea of what it was like to drive around the Red Sea on a 39 metre long motor yacht! Some of the dives were done directly off the back of the boat. Kit up, jump in! Others were done from Zodiacs, which is just a fancy name for the rubber ducks we use at home. 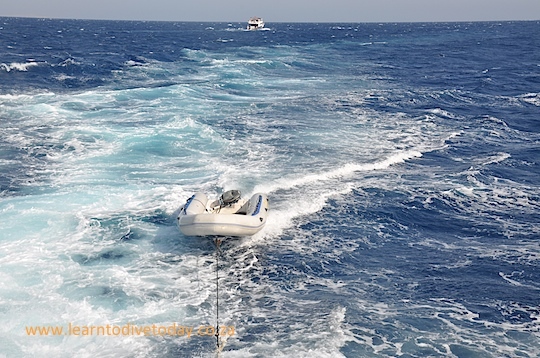 The Zodiacs on our boat (M/Y blue Melody) were about 4 metres long and could be loaded with an impressive number of divers when the circumstances required it! Here are some of the crew pulling the Zodiacs onto the dive deck in preparation for a crossing. 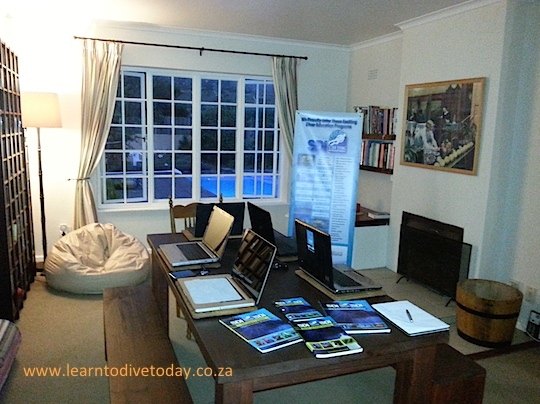 When we dived off the zodiacs, we stepped on board in full kit, carrying our fins. As soon as we were on board we put our fins on, and then one of the crew drove us to the dive site. We rolled overboard as soon as we got there – no time spent getting ready, as we were already in our kit. The wreck of the Andrea Doria, a luxury Italian cruise ship that sank in the north Atlantic ocean in 1956, is to some divers a sort of Mount Everest. It lies in about 70 metres of seawater, 160 kilometres from land. It has claimed ten lives to date and been the subject of several books and essays. Deep Descent deals specifically with this wreck. 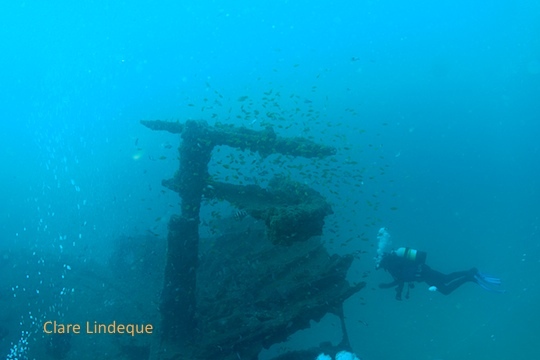 Shadow Divers and The Last Dive describe dives on the wreck, as well as featuring several of the regular charter captains and divers who pioneered diving on the Doria. An Esquire article from 2000, written by Bucky McMahon (author of this article on Reunion’s shark problem), describes diving on the wreck, and attempts (as do they all) to pin down the allure of this particular piece of ocean debris. The article was written after a thirteen month period (late 1998- late 1999) during which five divers from the same charter boat (the Seeker) died on the wreck. It is written in a masculine, aggressive style that may be characteristic of McMahon’s writing, but is certainly characteristic of the sort of behaviour that seems to play (or have played) out on the Andrea Doria since people started diving her. But how does it feel? What’s it like to know you are in a story that you will either retell a hundred times or never tell? You decide to drop down into the black hole. No, you don’t decide; you just do it. Why? You just do. A little ways, to explore the wreck and your courage, what you came down here to do. What is it like? Nothing under your fins now for eighty feet but the mass and complexity of the machine on all sides–what was once luminous and magical changed to dreary chaos. Drifting down past the cables that killed John Ornsby, rusty steel lianas where a wall has collapsed. Dropping too fast now, you pump air into your b.c., kick up and bash your tanks into a pipe, swing one arm and hit a cable, rust particles raining down. You’ve never felt your attention so assaulted: It is everything at once, from all directions, and from inside, too. You grab the cable and hang, catching your breath–bubble and hiss, bubble and hiss. Your light, a beam of dancing motes, plays down a battered passageway, where metal steps on the left-hand wall lead to a vertical landing, then disappear behind a low, sponge-encrusted wall that was once a ceiling. That’s the way inside the Doria. In the last couple of years the pirate attacks taking place off the coast of Somalia have slightly reduced in frequency and success rate, thanks to fairly aggressive anti-piracy measures taken on board the vessels traversing that stretch of water, as well as to the presence and activities of warships from various international navies. William Langewiesche (author of The Outlaw Sea) wrote for Vanity Fair in 2009, describing an attack on a small French cruise ship called the Ponant. At the time of its hijacking, the Ponant had only crew on board, a complement of about 30 people. Langewiesche is an outstanding journalist, thorough and detailed, with a knack for pacing. The crew of the vessel escaped unharmed (this won’t spoil your enjoyment of the article), and apparently there was much trumpeting and self-congratulation in France. The truth of the matter is that once pirates have seized a vessel, it is extremely difficult for naval or airborne forces to do anything productive to defuse a pirate attack if there are hostages on board. If anyone had saved lives it was the pirates themselves, along with Marchesseau [captain of the Ponant], and the shipowners in Marseille, Rodolphe and Jacques Saadé. By satellite phone they had succeeded with negotiations in an evolving global dimension that lies beyond the reach of government and its conventions. For all its firepower and training, the French Navy was neutralized by the fact that Ahmed [the pirate leader] never threatened to start executing the hostages, and that for whatever reason he actually cared about their welfare. As a result, the best the French Navy could do was stand by, eat well, and serve as bagmen for the money. It was successful at this—maybe more so than other navies would have been—but the claims that were subsequently made of a French national victory were exceedingly thin. Read the full article here. Highly recommended! William Langewiesche is an American journalist (and pilot). 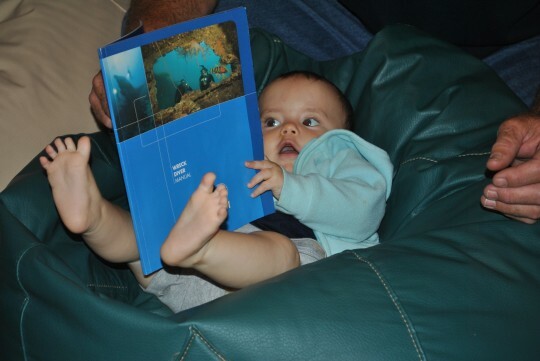 He has written on a variety of subjects. This is the only one of his books I’ve read. I looked for it after reading an excerpt from its first chapter in The Penguin Book of the Ocean. 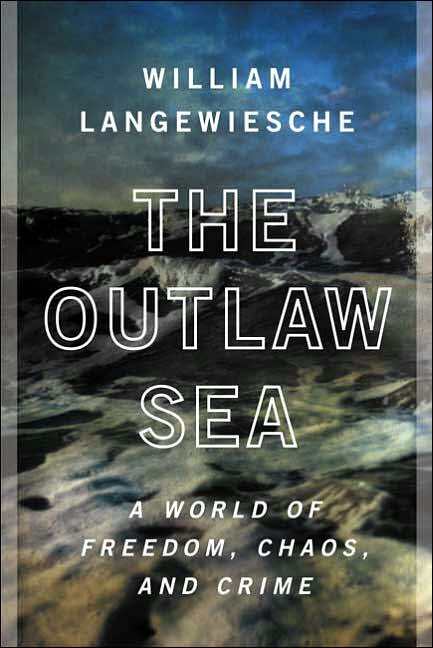 Langewiesche’s interest here is the wild, unregulated nature of the majority of the planet’s oceans (which, indeed, comprises the majority of the planet, covering 75% of the earth’s surface). Some measure of control – and even this is illusory – may be exercised by governments within their own territorial waters and close to shore. The size and privacy offered by the expanse of waters lying just over the horizon, however, is conducive to unchecked piracy, unregulated shipping activities (near-derelict vessels flying flags of convenience, transporting unexamined cargoes) and an atmosphere of lawlessness reminiscent of America’s Wild West. Published in 2004, at a time when terrorism was front and centre in the minds of Americans in particular, the book also deals with the possibility of a ship-borne terrorist attack at one of the world’s harbours. The impossibility of scrutinising every container’s contents on the massive container ships that move from harbour to harbour across the globe means that this is a very plausible threat. Much of the book is taken up with descriptions of vessels foundering, most notably a nondescript cargo vessel called the Kristal and the passenger ferry called the Estonia. These sections are absolutely gripping. Langewiesche’s command of language and ability to explain sequences of events using the testimony of witnesses – whose recollections are coloured by the highly stressful nature of a shipwreck – is supreme. Very little further motivation is required, in addition to these narratives, to convince one of the lawless and unregulated nature of worldwide marine transportation activities. The final chapter of the book is about Alang, an Indian town in the state of Gujarat that is home to a shipbreaking operation of incredible proportions. Enormous vessels are driven up the beach at high tide, and once lodged on the sand they are systematically stripped and dismantled by thousands of workers. More than half the vessels scrapped worldwide are broken down at Alang. There is almost no regulation of activities there, and there is heavy criticism of the western nations that send derelict vessels across the world to pollute a distant Indian coast, and to sicken underpaid, desperately poor workers with their toxic effluents and fumes. This article and this one describe what happens at Alang. For a visual sense of what Alang is like, you can look at these, these or these photos. Langewiesche’s description of a ship being run aground at Alang is haunting, as is his description of a stripped vessel’s interior as being like a cathedral to modern industry. For an idea of what working conditions are like in these shipbreaking yards, this article has some amazing photographs. 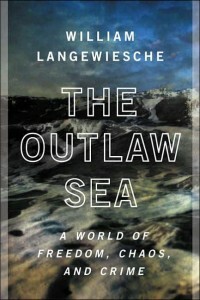 The Outlaw Sea grew out of two articles Langewiesche wrote for The Atlantic. The first one concerns the sinking of the ferry Estonia in the Baltic sea (now chapter four of The Outlaw Sea), and the other deals with shipbreaking in Alang (this particular article is now the sixth and final chapter of The Outlaw Sea). I’d suggest you bookmark both articles and read them; they are fascinating, give a good idea of Langewiesche’s readable and clear style, and will probably make you want to read the remainder of this book. You can buy a copy here if you’re in South Africa, otherwise here or here.